The 034Motorsport B7 Audi A4 2.0T FSI Catch Can Kit is here! We’ve put months of engineering and testing to create the most complete and effective catch can kit on the market. The 034Motorsport B7 Audi A4 2.0T FSI Catch Can Kit is here! We’ve put months of engineering and testing to create the most complete and effective catch can kit on the market. 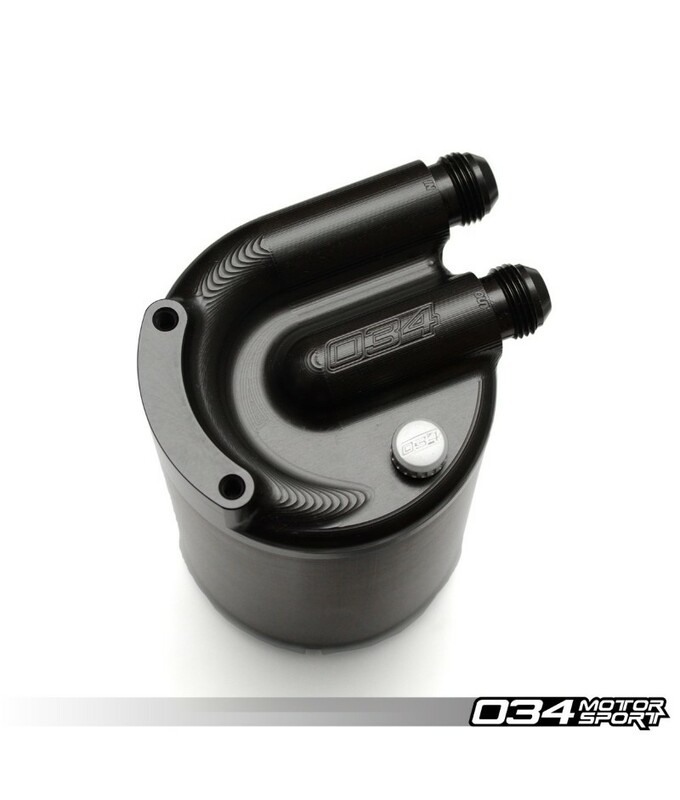 The 034Motorsport B7 Audi A4 2.0T FSI Catch Can Kit features a completely new proprietary catch can, as well as a CNC machined valve cover breather adapter to provide optimal crankcase ventilation, while keeping oil and water vapor out of the intake tract. 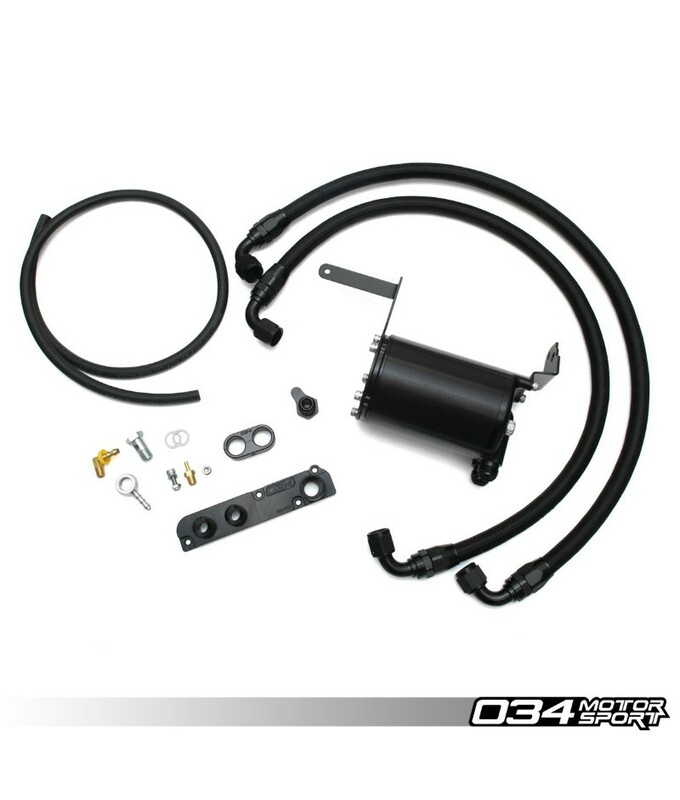 This kit is designed to eliminate boost leaks caused by the faulty factory PCV valve assembly, and prevent oil from depositing in the intake manifold and intake valves, resulting in reduced carbon buildup that is known to plague these motors. Catch Can Oil Drain – Allows for service-free use of the catch can by draining collected oil back into the oil pan.